We provide Tiger Sculptures that can be used as interior as well as exterior decorative items. The like-like image, excellent finishing and attractive postures are some of the factors that make our Tiger Sculptures extensively sought-after. 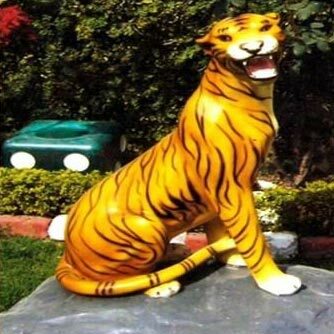 The Tiger Sculptures can be availed at quite affordable prices from us. © Copyright 2008 - 2010. Neha Playways Equipments Pvt. Ltd.